A leading Software Solutions company, Goodwill Business Solutions offers a wide array of Solutions for a range of key Verticals. Headquartered in Hyderabad, India, Goodwill Business Solutions a high quality, reliable and cost-effective ERP solution drives long-term values to the customers. An industry-leading product, Goodwill ERP is a simple menu-driven ERP, developed with DTR Technology and latest integraated tools. Goodwill ERP has the power, speed, flexibility and robust data management architecture to guarantee information consistency and tamper proof security ensuring the safety of data and the system as a whole. 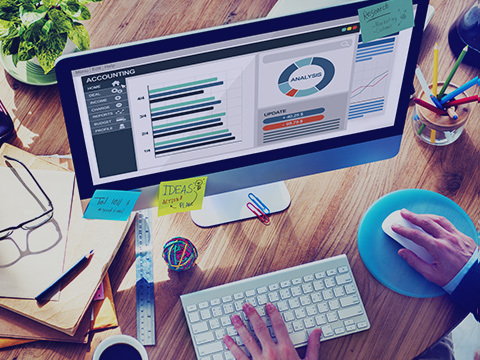 We provide solutions as SAS (Software As Service) and give greater benefits for their businesses. You can download Goodwill Accounting Ver 6.0 Software at NO COST. Multi-user, multi-company, and multi-currency Goodwill's Accounting Software Free Download offer following features. Reports to Tex File, PDF, Excel and Windows Mode. Goodwill ERP is an excellent software and got customized within 2 weeks. Central Excise, VAT and every requirement of ours is delivered. Even we work remotely from our Branches. I really wondered for the implementation. 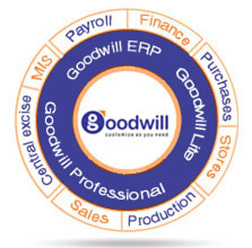 Goodwill is an excellent Package I did not know that there was such a versatile Accounting software which has all the features of an ERP.